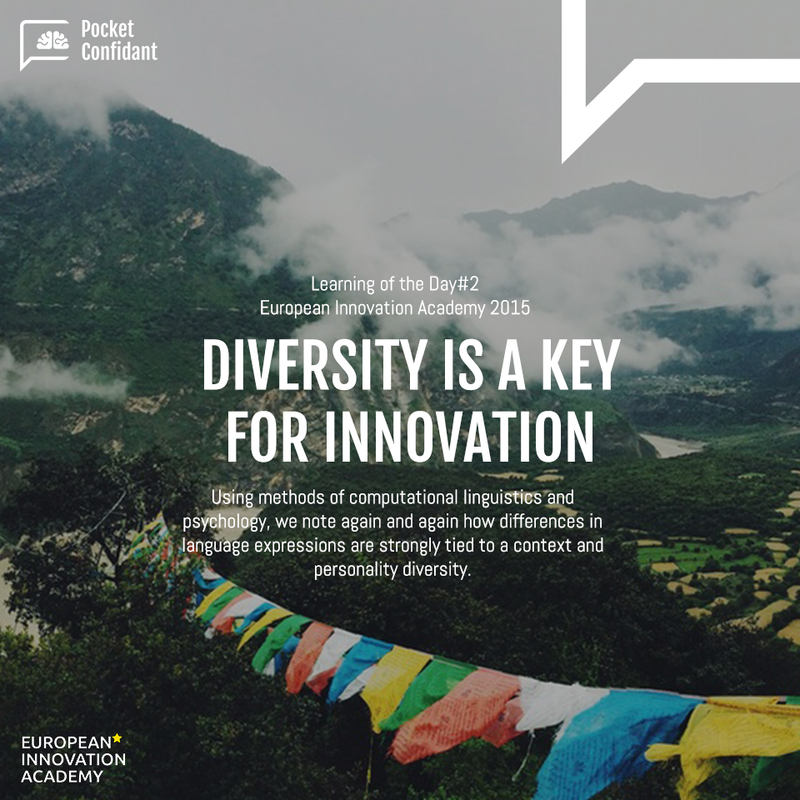 Diversity has been proven to be an efficient strategy in many contexts and situations. Diversity is a key for innovation. At PocketConfidant we work on paradigm changes using methods of computational linguistics and psychology. In our field we note again and again how differences in language expressions are tied to a context and personality diversity. As words exist in a various meanings, it presents various opportunities for creativity and development.